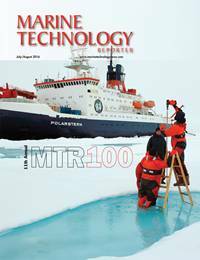 13th Annual MTR100 set to publish in the July/August 2018 edition of Marine Technology Reporter -- the world's largest circulation b2b subsea publication. Top companies in the global subsea sector are invited to apply now for the "MTR100". Marine Technology Reporter's annual MTR100 awards edition is the subsea industry's most awaited annual ranking of the leading companies serving the global subsea industry. - & much more. Apply today to have your company considered for coverage in the July/August 2018 edition. 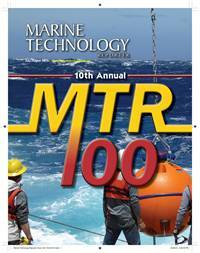 This is the 12th ANNUAL MTR100, the brainchild of Marine Technology Reporter magazine (www.marinetechnologynews.com), which is the world's largest circulation b2b magazine in the world serving the subsea sector. MTR100 is the pinnacle edition every year for MTR, and within it highlights the good works and innovation of 100 leading companies in the sector. There is no cost to participate, but to be considered for inclusion companies must apply. Deadline for applications this year is July 3, 2017. I am happy to report that the application for the 2016 MTR100 is now open to any and all companies serving the global subsea sector, available at: http://mtr100.marinetechnologynews.com/. 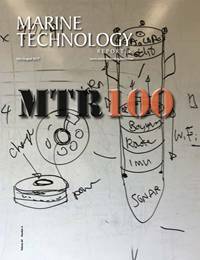 MTR100 is the brainchild of Marine Technology Reporter magazine (www.marinetechnologynews.com), which is the world's largest circulation b2b magazine in the world serving the subsea sector. MTR100 is the pnnacle edition every year for MTR, and within it highlights the good works and innovation of 100 leading companies in the sector. There is no cost to participate, but to be considered for inclusion companies must apply. Deadline for applications this year is June 20, 2016. 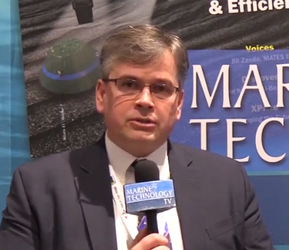 Link: http://mtr100.marinetechnologynews.com/.